“I Promised To Listen: The Life Of An Osteopath” The 2014 Sutherland Memorial Lecture, Presented June 21, 2014 at the annual Osteopathic Cranial Academy Conference in Indianapolis. 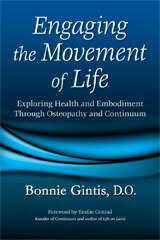 Experiencing Osteopathy Through Continuum Movement by Bonnie Gintis, D.O. Click here to read an English excerpt of the article in html. And here for an html version of the article in Italian. Download a PDF in English, Italian or Portuguese. 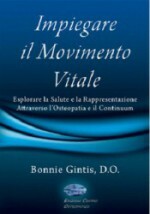 Click here to order Bonnie’s book in Italian!